Drivers looking for a compact crossover that is fun to drive should see how the 2015 Mazda CX-5 stacks up to the competition. You can find a wide selection here at Cutter Mazda Waipahu. We serve the people of Waipahu, Wahiawa, Kapolei, and Pearl City, HI areas with great deals and exceptional service. For all the efficient, sporty Mazda cars and SUVs in Hawaii, come to Cutter Mazda in Waipahu. 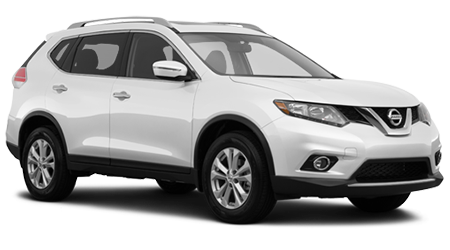 The 2015 Mazda CX-5 is a great choice and offers a lot of driving character, the Nissan Rogue, however, is less thrilling in every way. The base motor in the Mazda CX-5 Sport with the six-speed manual is just barely slower than the Nissan Rogue in 0-60 tests and delivers better EPA fuel economy. Move up to the optional Mazda 2.5-liter motor and get more power and torque than the Nissan, and at lower RPMs, which makes all that power more usable. The Nissan is rated at 1 mpg better in city and 1-2 better in highway driving, but Edmunds reports their long-term Rogue test car could never attain the EPA numbers. The Nissan is also only available with a CVT transmission, which some people don’t like due to the drone they can emit in hard driving. Mazda has always been a company that puts the driver first in its cars. The Mazda CX-5 is no exception. Even the base Mazda CX-5 Sport with its 2.0-liter I4 and manual six-speed transmission is designed to reward the driver on a curvy road. Move up to the Mazda 2.5-liter four-cylinder and the fun happens faster. The Mazda CX-5’s six-speed automatic has manual-mode paddle shifters too, for when you want to call the shots. Nissan’s Rogue doesn’t even pretend to be sporty, delivering a cushy, floaty ride at the expense of crisp handling and driver involvement. The only drivetrain on the Rogue is the 2.5-liter four-cylinder with a CVT automatic, which can feel like its struggling especially when full of passengers. In keeping with Mazda's commitment to the driver, all Mazda CX-5 models offer niceties the Rogue doesn’t. A proximity key and push-button ignition are standard in all Mazda CX-5s, while these features are only available on upper-level Rogues. On the top trim Mazda CX-5, an eight-way power adjustable driver seat with power tilt and lift is standard, while the Rogue makes due with just six adjustment positions. Mazda includes a sunroof as standard equipment on top trim Mazda CX-5s as well. All Mazda CX-5s come with alloy wheels standard while the Rogue makes due with plastic hubcaps on the base model. The top Mazda CX-5 gets sportier 19” rims, while the top Rogue only has 18” wheels available. The Rogue does feature a third row that you won't find in the Mazda CX-5, but the Rogue’s 3rd row is too small for anyone but children in reality. The Mazda5 or Mazda CX-9 are much better suited to hauling around 6 or 7 passengers, respectively. 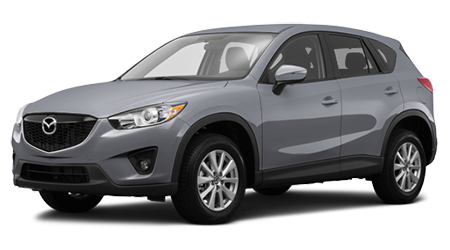 You’ll win in every category when you pick up an efficient, sporty, and versatile 2015 Mazda CX-5. If you crave excitement and are shopping for a small SUV in the Waipahu area, come visit Cutter Mazda.